The Indian Academy of Medical Genetics (IAMG) is a professional organization established by qualified medical geneticists from all over India. It is run by the Society for Indian Academy of Medical Genetics, registered under the Societies Registration Act, 1860, at Lucknow, specifically formed for this purpose in January 2012. 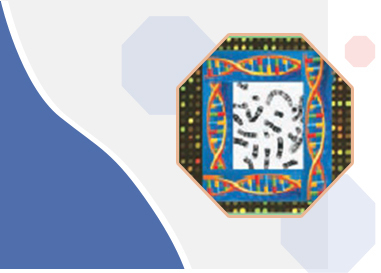 The main objectives of the organization are to improve the quality and accessibility of clinical genetics services in the country, to promote medical genetics education and research, to help integrate medical genetics research into patient care, and thereby to promote the overall advancement of this medical discipline in India. The IAMG serves as a forum of interaction for medical genetics centres across the country to enable coordinated patient care, research and teaching in the field of medical genetics. This expert group is also meant to act as an advisory body to the government and the society in matters pertaining to medical genetics.